Nothing is more embarrassing than having to be reminded by the sweet melody of a smoke alarm that you're cooking. 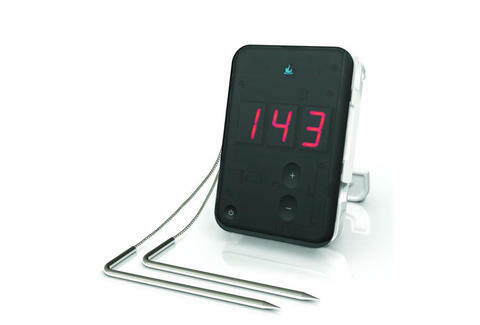 This nifty little Bluetooth food thermometer allows the absent minded or otherwise distracted grill master in all of us to monitor our food from up to 200 feet away. 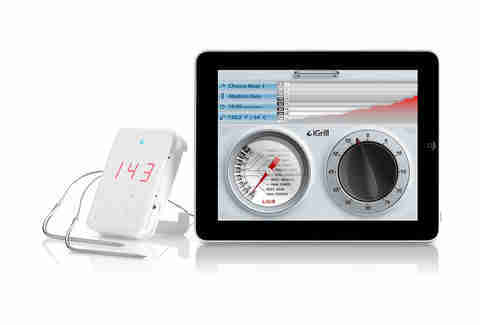 With the free iGrill app, you'll be alerted when your latest kitchen exploit is at the right temperature. Just don't get too upset if it interrupts your game of Temple Run.